For employers, business goals often include improving retention, raising engagement, increasing benefits participation or recruiting more high-potential candidates. 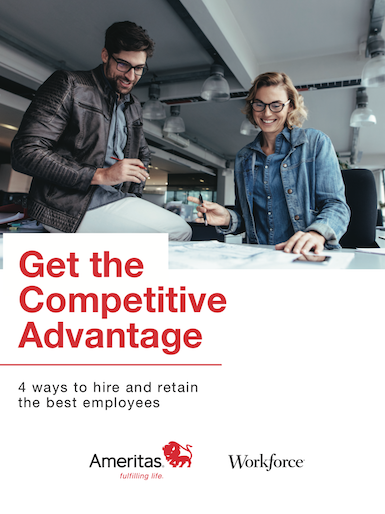 Offering competitive salaries is one way to achieve these goals, but today’s job seekers are looking beyond their base salary when evaluating companies. A growing number of businesses are using employee benefits strategies to gain a competitive advantage in the marketplace, as potential employees are more likely to work for organizations that show they care about their workforce. Ameritas partnered with Workforce for the Using Benefits for Competitive Advantage survey, asking more than 400 employers exactly how they use benefits programs strategically. The group division of Ameritas Life Insurance Corp. has served customers since 1959, and today issues and administers dental, vision, LASIK, and hearing insurance and student loan repayment plans for more than 8.1 million people and more than 58,600 employer groups nationwide. Claims contact center associates have earned BenchmarkPortal’s Center of Excellence award since 2006. Learn more about Ameritas and Ameritas Life Insurance Corp. of New York at ameritas.com/dental. Explore employee benefits and well-being topics at ameritasinsight.com.